I like programming. I also like MS FlightSim. Combine the two, and you get this lot. This little tool will allow you to see the contents of most BGL files that come with various flavours of FlightSim, including the latest (FS2004). You can also save source code for the some of data to disk. 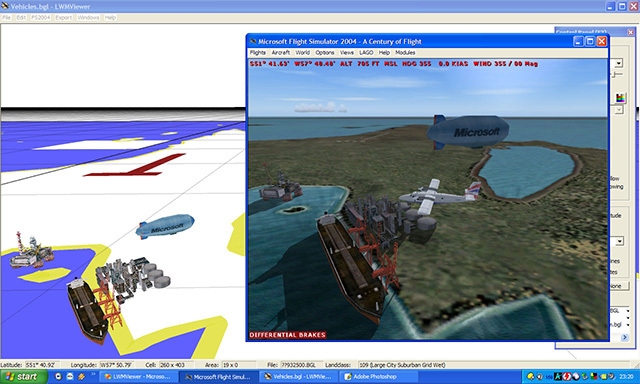 An updated version of LWMViewer which has a full, realtime 3D display and includes landclass and object editing. 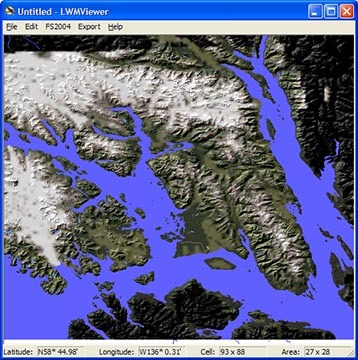 This is a program which will take raw SRTM, NED or ASTER elevation data and produce pretty much everything else (landclass, coastlines, mesh) automagically. It's a free download. I've produced some scenery packages for FS2004 using the auto-generation tool Slartibartfast. They're free to download. There is a new dataset available which describes global vegetation. This is perfect for use with FlightSim and a few experiments have shown that it's fairly straightforward to convert. Most of the work is done by a very simple program. With the help of the people who originally created it, I'm looking to convert it to a format that FlightSim can use. If you want a preview, download the Falkland Islands demo (2Mb). There are a few fairly obvious mistakes in the default data provided with FS2004. 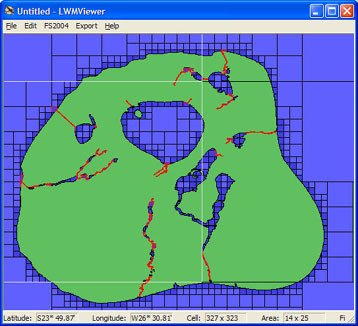 When I find something that bugs me, I fix it using LWMViewer. Any changes will be listed here. The original files are, of course, copyright Microsoft.